Steve Critchley is an international consulting mediator and trainer. He provides services in conflict situations such as harassment, landowner/community and energy company disputes and workplace grievances. In 1994, during the Bosnian war, Steve witnessed human conflict at its worst. His experiences included negotiating with armed belligerents and establishing small local areas of trust and co-operation. Steve developed a belief that people can work together to achieve realistic and positive results. With these experiences Steve went looking for ways to help overcome the kinds of conflict we experience here in our daily lives. This was the motivation behind volunteering for the Harassment Investigators course taught by the Treasury Board instructors in 1997. In 1998 Steve started the Certificate Program in Conflict Management offered at the University of Calgary by the Alberta Arbitration and Mediation Society, which was shortly followed up by completing Harassment Advisor training in 1998. In 1999 Steve was included in a select group from western Canada to undergo Mediation training as part of a pilot program coordinated by the Executive Director for Conflict Management responsible to the Federal Government. After completing the assignment of authoring a paper on Mediation, Steve achieved the third phase of the Mediator Qualification Program in June 2000. During this time frame Steve has acted as a Harassment Investigator, a Harassment Advisor, as well as an Assisting Officer during harassment complaints and investigations. 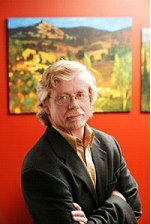 In addition to private practice, Steve volunteers with Community Mediation Calgary Society. Steve has provided services for the Canadian and U.S. federal government as well as training programs in South Africa, Ghana, Milan, London, and Dubai.